The soothing glow and striking shapes of Himalayan Rock Salt Lamps will enhance the décor of any room. These natural works of art not only look stunning but are known for their enormous benefits to our wellbeing. Ever breathe and experience the air around a thunderous waterfall … on a serene mountain top … at a pulsating seashore … or after a wild thunderstorm? Remember how fresh the air felt and how easy it was for you to breathe? Well, what you experienced was likely the result of negative ions. The rush of negative ions helps neutralize and balance the positive ions. Many published articles and scientific studies report how negative ions in the air can have positive effects. One demonstration of that is how they potentially increase the growth rate of certain plants. In most of these studies, sophisticated negative ion generators were used in controlled group environments—not something you can readily recreate in your own home. But the studies certainly give you a sense of the power of negative ions and their potential for cleansing the air you breathe. 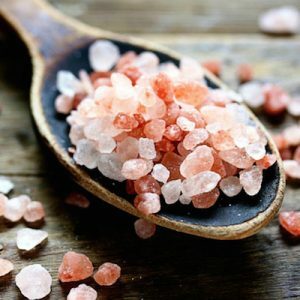 As suggested above, there is something you can do on a smaller scale using Himalayan crystal salt to release negative ions into your own indoor air. The basic premise behind a salt lamp is to help cleanse your indoor air and provide an attractive soothing light in your home. Using some of the most diverse measuring methodologies available, worldwide scientific tests have shown how crystal salt lamps can increase the number of negative ions released into your indoor air. Related: The many health benefits of Himalayan salt. Negative ions occur more often in nature and they are often created by things like lightning storms, sunlight, waterfalls, and ocean waves. This is one of the reasons people often report feeling renewed or refreshed after a storm or at the beach. Positive ions are often created by electronic devices like computers, TVs, microwaves, and even vacuum cleaners and can often exacerbate problems such as allergies, stress and sleep trouble. Negative ions can neutralize positive ions (they bond together) and help cleanse the air. The unique combination of salt and a light source in salt lamps are what cause the negative ions. Salt is hygroscopic, meaning that it attracts water to its surface and this water evaporates quickly due to the small amount of heat from the light source (this is also why salt lamps tend to sweat and appear wet in humid climates). The negative ions are generated during the evaporation process. Since things like airborne mold, bacteria, and allergens often carry a positive charge, they can be neutralized by negative ions. One of the main and important benefits reported by those who use a salt lamp is due to its ability to ionize stale air that consists of dust, pollen, ash, smoke, pet dander and other pollutants in the air. Salt lamps are natural negative ionizers: The heated salt crystal absorbs the water molecules from the ambient air and evaporates them, a process during which negative ions are released abundantly, creating a healthier, more balanced atmosphere. In this modern world that we live in, we are constantly in touch with technology: Smartphones, tablets, computers, electric bed heaters, microwave ovens, remote controllers, wireless devices, etc.—all send electro-magnetic radiation into our bodies and cause silent inflammation that leads to various diseases and cancer. With the EMR exposure, the body builds up positive electrons that form free radicals. Putting a Himalayan salt lamp in the room is like bringing the outdoor Nature, indoor. Salt lamps neutralize artificial electro-magnetic wavelengths produced by harmful electronic devices surrounding us that cause nervousness, insomnia and lack of concentration. They amplify the natural frequency of 8 to10 cycles per second in the human brain, which is the normal resonance synchronized with the resonant frequency of the planet’s electro-magnetic field (7.83 Hz or cycle per second) and stabilize alpha wave rhythms in our brain. Salt is hygroscopic, naturally attracting moisture. It absorbs the excess humidity in any given room creating a dry environment, while killing bacteria and other microbes. Therefore, salt lamps work as natural dehumidifier to help purify the ambient air, while eliminating bad odors in the process. Inhaling the ionized air by a salt lamp will help to relieve most respiratory problems like sinuses, nasal congestions, bronchitis, asthma and coughing. To have better effect, also put a pinch of Himalayan salt into your drinking water regularly which helps to break up phlegm and mucus for elimination. How Many Salt Lamps Do You Need? Like plants, the salt lamps purify the air of a small area around it. You may like to start putting one in the room where you spend the most time, whether it’s your office or the bedroom. Start with one in a small room, or two in a bigger room. Once you see its effects, you may like to invest more to put around the house. Consider these salt lamps as an investment in your health. They are durable, energy-efficient, purifies the air without any filter to change, and best of all, it helps give a boost to your energy level! It is important to make sure that the lamp is from a pure Himalayan Crystal source and not a cheap imitation made from rock salt. 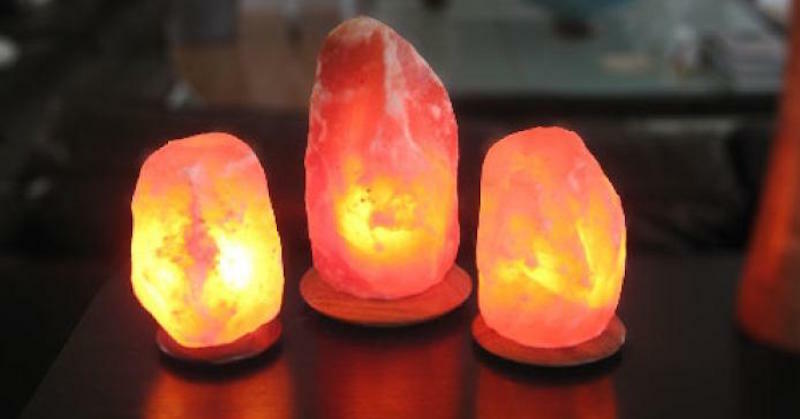 Himalayan salt lamps are damp, made from pure, food grade, Himalayan salt crystals and can even be powdered to use as salt in recipes if needed.